Jungle Red Writers: Do YOU Remember? HANK PHILLIPI RYAN: Now, a combo of our two themes of the week. A great idea, and why we read what we read. Both from Terry Ambrose! Terry doesn’t remember some things—but he knows he remembers others. And that has made all the difference. I don't remember my childhood. There, I've said it. My mom was one of those people who knew every detail of hers. She remembered the cross-country trips when her father moved the family back and forth between Connecticut and California—yes, multiple times. She remembered the antics of her brothers. Even her dog Brandy. She remembered the highs and the lows. Me? I have only snippets—and few at that. It's not age; I've always been this way. And that's how I really upset my mom. There was a day a few years before my mom's death when we were talking about her childhood. I made a comment about not remembering my own and she asked if I could recall all of the stories she'd read to me when I was young. Nope. Nothing. I can't recall ever seeing her so ticked off. My mom was a librarian in her younger days. She loved books and put in tremendous effort to make sure I did, too. I miss not having memories of her reading me to sleep or taking me to new and wondrous places through someone else's words. The good news is, while I don't remember those experiences, I know they happened. Because I love books and reading and, yes, writing. My mom's efforts paid off and are quite likely one reason why I was such an easy mark in 1995. I was working for a municipal utility at the time. One of our board members, an older man I respected greatly, approached me and asked if I would join his local Kiwanis club. Uh, a what? Oh, community service. Helping kids. Let's see…I was busy. Worked long hours. Didn't have time for those weekly lunch meetings. My list of excuses went on, but I did agree to join him for one lunch. Which became two. And, before I knew it, I was saying, "I do." The concept of writers supporting literacy resonated deeply with me for two reasons. First, I'd been involved in community service projects for ten years and the concept of paying back—or forward, depending upon how you define it—is now ingrained in me. But, on a deeper level, the conversation with my mom wouldn't let go. The question was, what to do about it? The obvious answer—write a book. 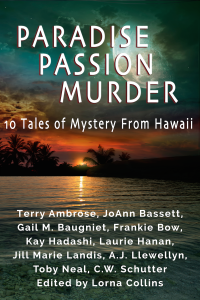 TERRY: In October 2014, "Paradise, Passion, Murder: 10 Tales of Mystery from Hawai‘i" was born. The concept was simple. Assemble some writers. Create an anthology. Give all the money to charity. Simple, right? In truth, it wasn't so bad because we were all passionate about helping others learn to read. Our writing team includes JoAnn Bassett, Gail Baugniet, Frankie Bow, Kay Hadashi, Laurie Hanan, Jill Marie Landis, AJ Llewellyn, Toby Neal, and CW Schutter. Most of our stories are about characters from our existing series. We’ll take you from the Big Island to the North Shore of Kaua’i, where you’ll find the Tiki Goddess Bar. Our characters’ stories involve family drama, Hawaiian legends and history, and everyone’s favorite subject, murder. Whether you want a funny locked-room mystery on a tour bus on the far side of Maui or a prison breakout with an unwilling escapee, we’ve got them all. All proceeds go directly to Read Aloud America, a Hawai’i 501.c.3 organization dedicated to improving literacy in the Aloha State. "Paradise, Passion, Murder" is available in soft cover, e-book, and audio formats. You can learn more about the project on hawaiianmystery.com. So now, I have two questions. First, are you one of those people who remembers everything from your childhood? Or, are you more like me with only snippets of the past filed away? Secondly, who, or what, influenced you to read? Did you just pick up a book and get hooked? Was there someone who nurtured you? HANK: Do I remember my childhood? Ah, kind of. Somewhat. I have—snapshots. I really wish I remembered more. What influenced me? Two things. One, the vast bookshelves at our house. I could read anything I wanted. (Though I briefly got in trouble for reading the James Bond books at age, what, thirteen?) And two—I need the thank my vast unpopularity. All I did was read. Those characters were often my only friends! 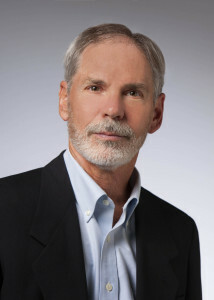 Terry Ambrose writes the McKenna Mystery series, the License to Lie thriller series, and writes for the Lei Crime Kindle World. He’s currently working on mystery novellas featuring a Magnum, PI wannabe and the perennially snarky McKenna. Much like his protagonist, Terry’s many years of chasing deadbeats and repossessing cars taught him many valuable life lessons such as—always keep your car in the garage. Your anthology sounds great . . . and how wonderful that it will support such a worthy cause. Actually, I happily remember quite a bit about my childhood, but I must admit that I don’t remember much about the whole process of learning to read or having someone read to me. I only know that I cannot remember a time when I didn’t read. I always had a book or two that I was reading, and I remember that I always finished them faster than my mom thought I would . . . .
First, let me say without hesitation that I will be buying the anthology. I've been to Hawaii three times over the past four years and once 37 years before that, and although I've only been to two of the islands, Oahu and Molokai, I love Hawaii and reading about it, fiction and non-fiction. My last trip, last July, was when I fulfilled a promise to myself, to visit Molokai. I first read about this island in Alan Brennert's novel by the same name. I've also read his novel entitled Honolulu. Both books are must reads for those interested in great historical fiction dealing with Hawaii. Also, Unfamiliar Fishes, a non-fiction book by Sarah Vowell is a wonderfully witty history of Hawaii and how they were swindled out of their independence. So, I can't wait to read your anthology and your McKenna series, too. I visited your Web site and saw a picture of the Byodo-In Temple on Oahu. My daughter and I went there a couple of years ago when she accompanied me to Oahu, and I loved it. I hope to visit another island if I go back to Hawaii this year or next. It depends on when my husband goes there for his work again and I tag along. Trying to decide which island to visit next. Suggestions? Love the post, Terry! I too grew up in a house with walls lined with full bookshelves and we four kids got free rein. My mother spent every evening reading (mostly mysteries! ), and so we did, too. My father was a high school teacher, so he was always reading, too. I have some pretty vivid memories of childhood, but it's funny, when I get together with my sisters, how they sometimes have different memories of the same events. So I know my memories are filtered through my take on the world. My Mother also remembered all of her childhood and related it frequently, so I remember two childhoods because I also remember mine. Mine was far better. She took me to the library with her from the age of 2 and I was reading at age four. My Dad read the paper every night and I would ask him words - not letters. Still reading after all these years, although not as fast as I used to. Welcome, Terry! My best memories of my mother are of her reading to me. Also she played the piano and I'd sit on the bench next to her, one of my sisters on the other side, we'd sing. Memory is weird. I can remember all kinds of details about places and food and very little of what anyone said. The anthology sounds wonderful. Thanks for introducing us to it. How did memories? I so agree… When my family gets together, we all remember things differently. Which is so hilarious! I used to ask my mother about her childhood all the time, but she didn't like to discuss it. Now it feels like a strange gap. thank goodness no politicians, right Hank? It's going to be an interesting day down there. And welcome Terry--this is a great idea! I was just about to say what Edith said--I remember a lot, but my siblings have different memories of the same events. Terry, I'll be looking for the anthology--new writers, a setting in Hawai'i, and supporting a great cause--a triple treat! Memories--yes, I can remember mine starting about age 3. And like Gram, my love of reading came through my parents. Seeing my mom engrossed in a book--my dad reading the newspaper and his bible every night. Even in this day of e-papers, all my siblings and I still relish reading the paper. Also, I'd like to mention the Scholastic Book Club--through school you could purchase books cheaply and my mom would always find a spare dollar or two. We would pore over the selections together, then order 4 or 5 books. It was a glorious day when the books would arrive! I have very clear memories of some things - what our house looked like and things I did with my brothers and sisters. But there are distinct gaps that span many years. I never remembered nursery rhymes although I'm sure one of my 5 older brothers and sisters shared them with me. I remember hiding in a closet with a book and flashlight at a very early age (4, 5?) because the house was too crowded (in my mind) when my many cousins descended for a visit. Reading was definitely my refuge and the library my vehicle of escape. Without those books, I don't know what would have become of me -- many dark memories -- and that's what I can recall. As for the rest, well, those books helped me leap from that world to one where I felt safe. Maybe that's why I write, to help someone else escape into a safe place for a while. Oh, Terry, what a lovely post! As FChurch says, it's a triple threat! I have very few good childhood memories. But the local library was my haven and happy place. Without books the dark times would have gotten me, for sure. Accident I'm a writer now? Nope. I remember my first birthday, what I wore and what my mother said and pretty much everything since. My sister remembers nothing. Love the anthology idea. Think I shall float that to my friends in Alaska. And I shall buy yours. ANd Lucy, it's strange--if you watch TV, it seems like that's all anyone is talking about here, right? But here--I haven't seen one sign or anything political. Except the TV commercials which are unbelievably endless. Childhood politics? My parents were the only ones in our neighborhood for Adlai Stevenson. I was YOUNG but vividly remember that. I definitely remember my childhood. And I figure it's from having so many siblings to argue with about who's fault something was and what REALLY happened . . . ha ha. My dad was the first one to turn me on to reading (received my first book club membership from him: Dr. Seuss books) and second was my first grade teacher, Sr. Ann Bernard, who encouraged us to "read to the moon." The certificate showing a rocket ship with the number of books I read is my profile photo. It so great to see yours and other authors' efforts to give back and promote literacy, Terry. And combined with Hawaii, who wouldn't want to read that book? Thank you. Childhood? I think I've forgotten more than I remember. I tend to remember the evil things we did, not the mundane. As for reading, I was always a reader. I didn't need anyone to inspire me. Although Dad used to stop at a bookstore downtown and buy books for us like The Three Musketeers, and the Connecticut Yankee in King Arthur's Court. Hi Terry! It's always so nice to have you hear, and the anthology is a great idea. For those of us for who reading means so much, it's great to give back. Hi Joan Edith, and Gram, you're so lucky to have those memories of your childhood. I've never quite understood why some people do have the memories and some don't. And Kathy Reel, what a fabulous story about varnishing yourselves into a corner! Thanks for checking out my website and the anthology. You may have also seen that I have a McKenna short mystery available for free. It's called Mytery of the Lei Palaoa and can be found on Amazon and B&N. Hi Hallie, funny you should mention a piano—that was another time I made my mom not so happy...she wanted to learn to play piano and was having a hard time. I'd played accordion for years and sat down one day. Played a bit...yeah, not happy then, either. Another one of those things she told me later on. Hi Lucy, I agree about no politicians! And, thanks FChurch for checking out the anthology! I would think hiding in a closet to read would definitely be one of those vivid experiences that would stick with you, Claire. Thanks for sharing that! Thank goodness for books, right Susan? Hi Keenan, thanks for your support! I'm amazed by people who remember the kind of detail you do. Thank you, Tricia! I suppose you're right about the arguments, that would "ramp up the tension" as we writers like to say! :-) What a could of wonderful influences you had that introduced you to writing. Hi Debs, it's always a pleasure to be here. It's interesting that you remember the places, but not the events. Memory is really funny, isn't it? I remember some things but not as vividly as my sisters do. As the oldest and only boy, I think my experiences were a little bit different. I remember the public library being useful in my argument about being allowed to ride my bike further. I don't remember reading a lot of my parents' books, but I was allowed to order them from Scholastic Book Services... I remember Encyclopedia Brown and Emil and the Detectives. What a great cause. I love it, reading is so important, as a child and as an adult. Do I remember my childhood? Nope, not a whole lot. As Hank said, it's in snapshots. The snapshots start early (my first is of a blue rug from the apartment we moved from before I was a year old, my second is of my brother pushing me on a swing and I'm wearing those high top white shoes of a certain era), but they are far from complete. Reading, oh, that was a different story. my parents read to me all the time, fiction and non-fiction and most importantly (to them, not me) a topic from The Book of Knowledge every night. I learned to read at age 2. Why? Now this I do remember - my father refused to read me Prince Valiant comics in the Sunday paper. Precocious? That's a nice way to describe my behavior. Hey. I had a big brother who was a ringleader. My parents enrolled us in book clubs so we always had lots of books to read, from Dr Seuss to the classics. And I don't mean the comic books. I do remember sneaking out of bed at night and creeping out to the hallway to read my Nancy Drew books by the hall light. What a wonderful post! And a wonderful charity! My husband remembers nothing either--I'm the one who can quote conversations from thirty years ago and remember what color the walls were. But my childhood was different from yours Terry, in that I think I must have fallen in love with books all on my own. I remember begging people to teach me how to read when I was about four because reading aloud wasn't a big thing the rest of my family liked to do--or really read at all. But it propelled me to learn to read early, and I haven't stopped since. So, a win-win in all :) Now I have to get over to Amazon and buy that anthology! Oh Kait, I love that you learned to read because of the comics. That's fabulous!